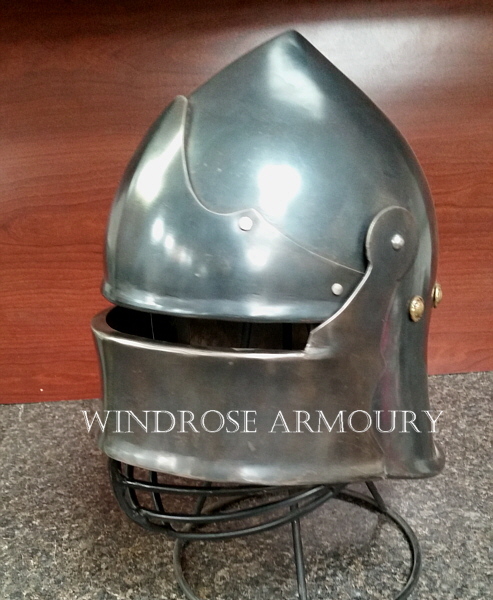 Coventry Sallet, Blackened Stainless Steel, Medium [H-420] - $1,250.00 : Windrose Armoury, We Bring History To Life! 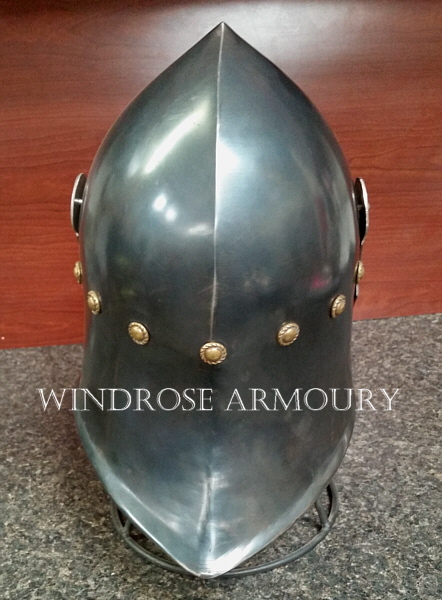 Styled after a famous sallet from Coventry, this is constructed completely of 14 gauge stainless steel. The visor does lift, no hold down method is included on the helmet. Finish is a chemical blackening with brass accents. Sized to fit 23- 23 1/2 inch head circumference. 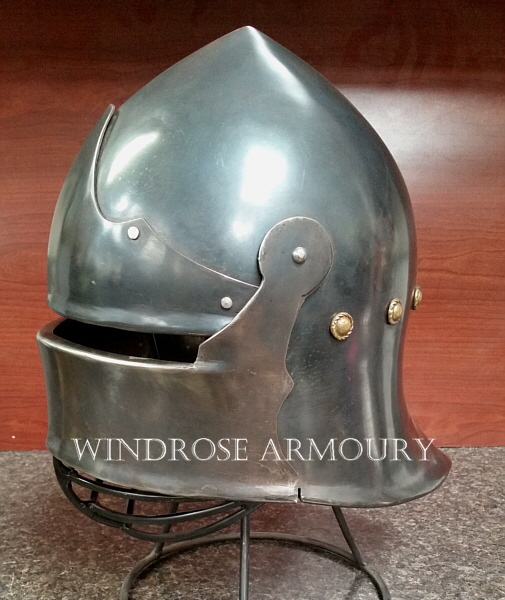 Actual helmet weight is one pound lighter than shipping weight listed.